You won’t find a lot of people suggesting we need fewer opportunities for creativity in our schools. That said, often people are slow to make the link that efforts around entrepreneurship are really creativity initiatives. Discussions around improving student learning often focus on core academic areas, and yes, these are important, but we need more than that. I have been very taken by discussions about entrepreneurship. I know I held a traditional view of entrepreneurship, that the area of study was really about creating people for the world of business. And yes, this is important, our schools are about so much more around the skills and qualities we want and the citizenship we want to foster. My views around entrepreneurship have shifted. I am persuaded by Yong Zhao, for example, who argues, “Bold entrepreneurs, bright new ideas and world-class colleges and universities . . . are what every country needs and more importantly, what the whole world needs to succeed.” Zhao and others link closely the notion of creativity with entrepreneurship. And it makes good sense. Early Entrepreneurs: In this program, participating classrooms each get a $100 micro-loan as startup capital, and asked them to raise funds for charity. Rather than running typical fundraisers such as asking for pledges, these classes used the money to start their own small businesses such as building bird houses to sell at a local market, selling green smoothies on Fridays, and creating family friendly events. These students were using their own creativity and imagination to turn our initial $100 loan into thousands of dollars for charity link to other established programs. There is a great story of this at work at Lions Bay and their loan that turned into almost $1800 raised for building a school in Kenya through Free the Children. Entrepreneurship – Ignite Your Passion: We offer a number of programs for grade 6 and 7 students after school hours taught by secondary school teachers that allow these young learners to explore their passions in areas often not covered in-depth at the elementary grades. 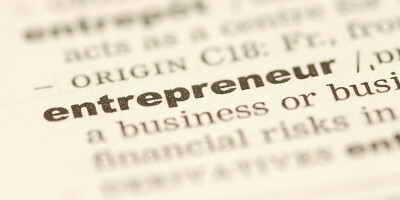 One of the very successful offerings has been entrepreneurship. As the course outline describes, “This course will empower the next generation to explore their interests in business, leadership and innovation. Students will have the opportunity to engage in topics such as leadership, communication, marketing, financial literacy, and entrepreneurship; culminating with developing their own business. Entrepreneurship students will gain real-world, leadership, and public speaking skills plus a confidence to take risks while exploring their interests and passions.” One day I was there, I learned about Free Kicks – a soccer camp that was being run by a grade 7 student at Gleneagles Elementary School for younger learners at the school. It was an amazing example of real world leadership at work. YELL (Young Entrepreneurship Leadership Launchpad): I have said in a number of venues, that the future of schooling looks like YELL. It is real world experience for our high school students that does not just simulate real-life but is real-life. The program is “a hands-on, experiential accelerator for high school students interested in gaining knowledge and developing experience in all areas of business and entrepreneurship. In addition, YELL helps students interact with others across the school system with like-minded individuals, helps to build a community based framework to enhance innovation and provides a learning and development structure to foster innovation and advancement for future generations.” The program is offered for students in grades 11 and 12. It started in West Vancouver two years ago, spread to Coquitlam and Richmond this year, and is looking to grow to other school districts in BC and beyond over the next few years. From Early Entrepreneurs with students as young as kindergarten, to Ignite offerings at the end of elementary school to YELL with our passionate senior students we are being far more explicit around entrepreneurial skills. These on top of already established programs in these areas that continue to thrive. It is not just about building business leaders but about the crucial skills we are seeing in these programs – we see our students gain confidence, collaborate and solve problem together and grow as leaders. The types of skills we need to be highlighting for our students as they enter a world that is changing so quickly.